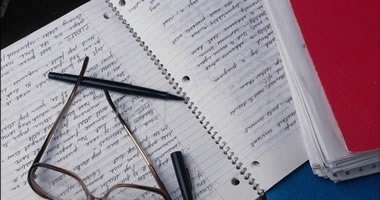 Edward W. Clark and Latin teacher, Martha Ward founded the Venice High School latin museum in 1932. 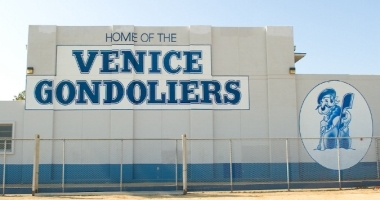 In 1932 the Principal of Venice High School was Edward W. Clark. In addition to his public school work, Mr. Clark was an educator in Latin and Archaeology and a lecturer on Art, Archaeology and History. He was an author of numerous articles and his treatise on Roman Lamps, published in "Records of the Past", was regarded as an authority and quoted by the Director of Excavations in Rome. Known for his interest in antiquities, Mr. Clark, was offered the collection of the defunct Classical League of downtown Los Angeles. 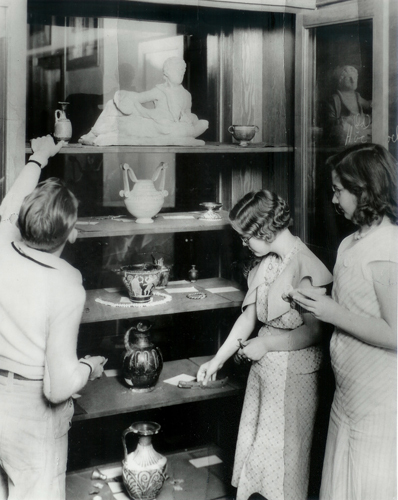 Using the Classical League collection and pieces donated from Mr. Clark's personal collection, he and Latin teacher, Martha Ward, started the Venice High School Latin Museum in 1932. Over the years, Clark, Ward and other teachers acquired pieces for the collection when traveling abroad on vacation or sabbatical. 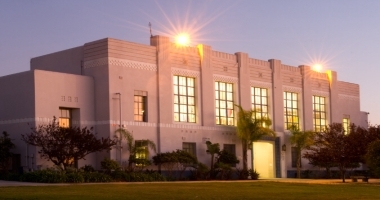 The 1933 Long Beach earthquake destroyed the school's main buildings. The new school buildings completed in 1936 included a small room to house the museum collection located adjacent to and accessible from Martha Ward's Latin classroom. The earthquake also damaged some of the museum's ceramic pieces and later, they were refurbished by workers from the Getty Museum. 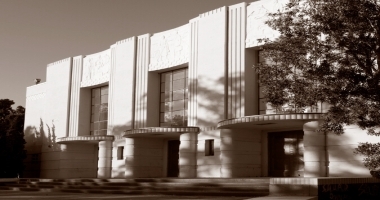 The entire ceramic collection was at the Getty shop for two years. The collection included treasures dating as far back as 4,000 years. Greek, Etruscan and Roman ceramics were included, along with coins, jewelry, weapons and cuneiform tablets. Specific items included a Etruscan safety pin, a Roman leaden slug inscribed with the name "Caesar", a Roman tear bottle - a narrow-necked vessel that contained the tears of the deceased's loved ones or used for perfume, a Greek drinking horn and torture devices. Laurence Kelly, U.S. & Ancient History teacher and the Museum Curator from 1968 to 1987, says many of museum's Etruscan pieces were from the estate of Louis Napoleon, a major collector of Etruscan artifacts. Louis Napoleon, nephew of Napoleon Bonaparte, ruled France in the mid 19th century before being deposed in 1870. A particularly interesting part of the collection is its cast and stamped coins, some dating to 600 B. C. (before 600 B. C. coins were cast, after they were stamped), just 200 years after the invention of coins. The collection included coins smaller than an aspirin tablet that were carried under the tongue so they wouldn't be lost. There were also bronze coins with diameters as large as doorknobs. In 1997, with enrollment expanding and the museum getting little use, the museum room was needed for holding special education classes. The collection was packed-up and sent downtown to LAUSD where Stone Ishimaru, an art consultant to the District, is heading an effort to properly identify, photograph and catalog the VHS collection as well as artifact and art collections from throughout the school district. The hope is to house all the collections under one roof in some future downtown museum. 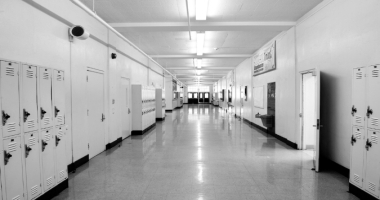 Perhaps, in the old Otis Art Institute facility on Wilshire Boulevard, which is now owned by the school district. In its historical collection the Alumni Association has an album documenting the Museum, including an inventory and photographs of the pieces.